Mumbai: India’s factory output in November rose to an 11 month high on the back of improved demand, according to the Nikkei India Manufacturing PMI. The Nikkei India Manufacturing Purchasing Managers’ Index (PMI) was recorded at 54 in November, up from 53.1 in October. This was the third consecutive monthly increase in the index. It also said that manufacturing operating conditions in India strengthened for the third successive month in November as healthier inflows of new orders encouraged companies to lift production and input buying to greater extent than in October. An index reading of above 50 indicates an overall increase in economic activity and below 50 indicates an overall decrease. 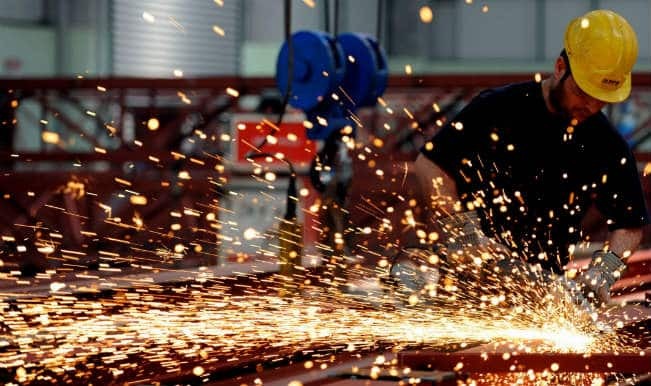 “The Indian manufacturing sector continued to recover from ground lost in August, with November seeing the headline PMI climb to an 11-month high,” said Pollyanna De Lima, Principal Economist at IHS Markit and author of the report released on Monday. The Nikkei report said that “heated demand” put higher pressure on capacities, which was reflected in a renewed increase in outstanding businesses. “Buoyed by stronger demand conditions and greater sales, manufacturers increased production at the second-quickest pace since October 2016,” said the report. It further observed that goods producers created jobs in November. “The increase in employment softened slightly since October, but was nonetheless among the fastest seen in six years,” it said.